5) Furnish an itemized invoice for parts and services, priced fairly, which clearly identifies any used or remanufactured parts. Replaced parts may be inspected upon request. 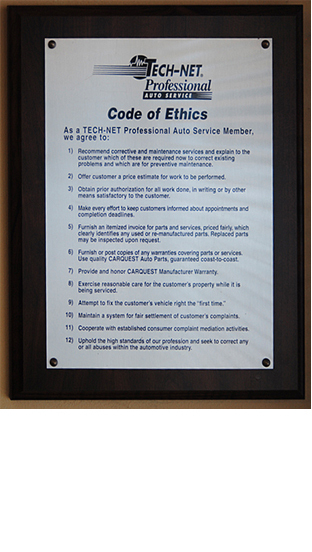 6) Furnish or post copies of any warranties covering parts or services. Use quality CARQUEST Auto Parts guaranteed coast to coast. 9) Attempt to fix the customer's vehicle right "the first time"